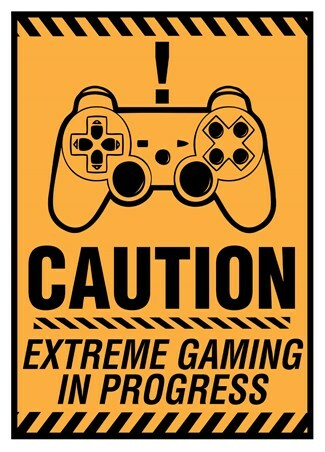 Video Game Mini Poster: What would one need when exploring the Wastelands, fighting for survival, battling monsters? 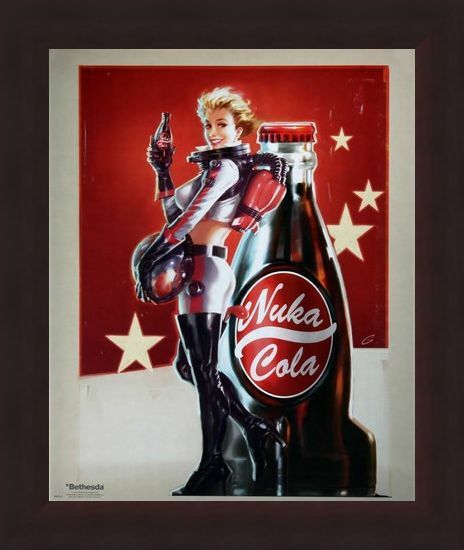 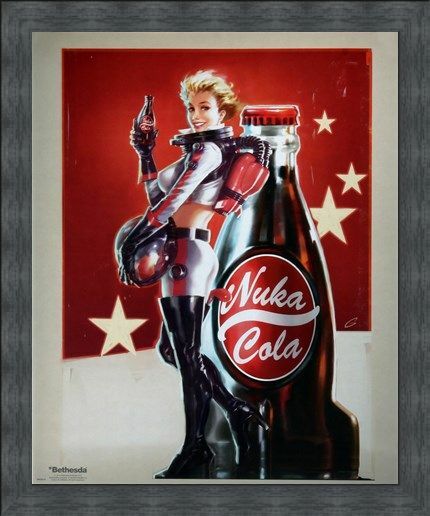 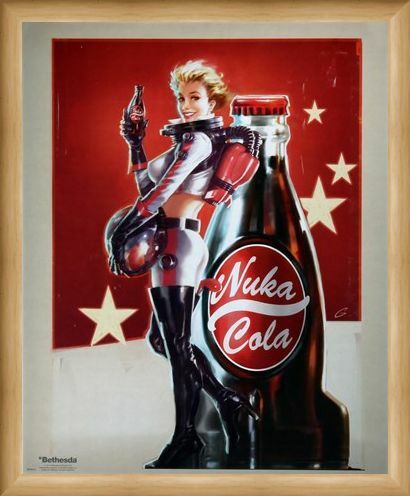 A good ol' refreshing bottle of Nuka-Cola, what else! Zap that thirst with its bubbling fizz and quenching nature, as well as a slight pinch of radiation poisoning but hey, we don't worry about that here! 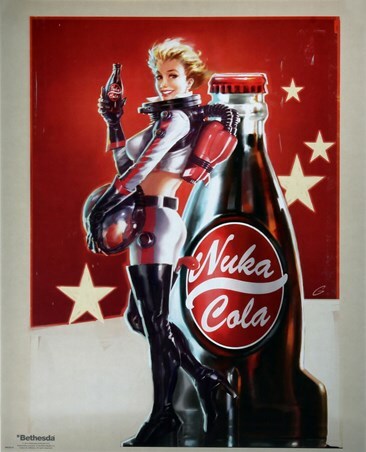 You are guaranteed to fight off Mole Rats all the way to Deathclaws all thanks to this miraculous Cola, did we also forget to mention those bottle caps? Yeah, I wouldn't throw those away if I was you, it is very possible you will need those. 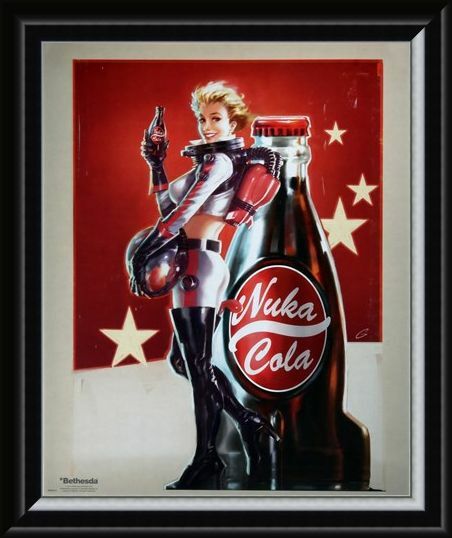 High quality, framed Collect Your Caps!, Fallout 4 mini poster with a bespoke frame by our custom framing service.